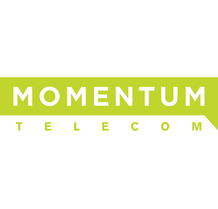 Momentum Telecom helped them to transform their business through the use of Hosted VoIP and collaboration tools, as well as improving the call routing functionality of their contact center. Momentum also customized an IVR to help with geo-routing incoming calls and gave their remote employees the tools they needed to work seamlessly with the Lansing, MI, headquarters. The new UC solution has enabled their business to thrive and helps support their long term scalability.